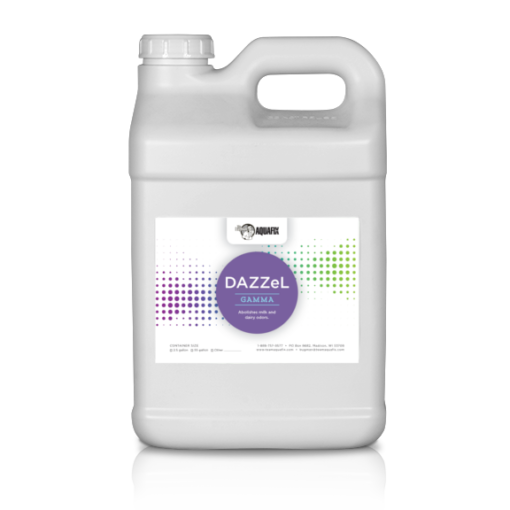 DAZZeL Gamma – Dairy Odor Control is custom blending to help milk and dairy processing plants with excessive dairy odor control problems. One milk plant in the middle of a city went from constant complaints to next to none just by using DAZZeL Gamma. Call or E-mail for a sample: 888.757.9577 or email technicalservice@teamaquafix.com. *55 gallons available at $24.00 per gallon, please call to order 888-757-9577. 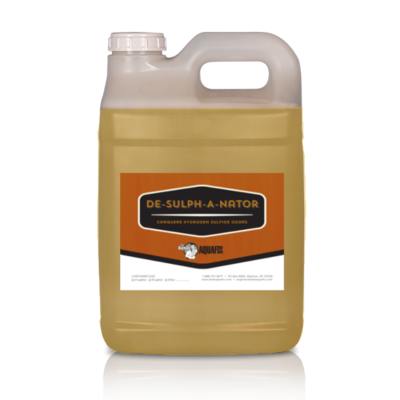 Custom blended with an essential oil and neutralizers specifically for the waste streams from a milk processing plant. Instantly neutralizes spoiled milk odors. Atomize 1 gallon per day per 100,000 gallon flow rate. Considerations for the best nitrification, and how to recover if its lost. 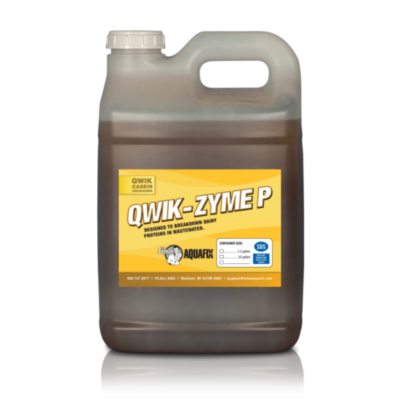 Fact, Fiction, and the latest research on biocides like “Quat”.